Digital Wellness Series: Digital Sisters Are You A Flowista? This month, Digital Sisterhood Network (DSN) is promoting digital wellness. In yesterday’s blog post, we shared tips on how to create a digital wellness plan. 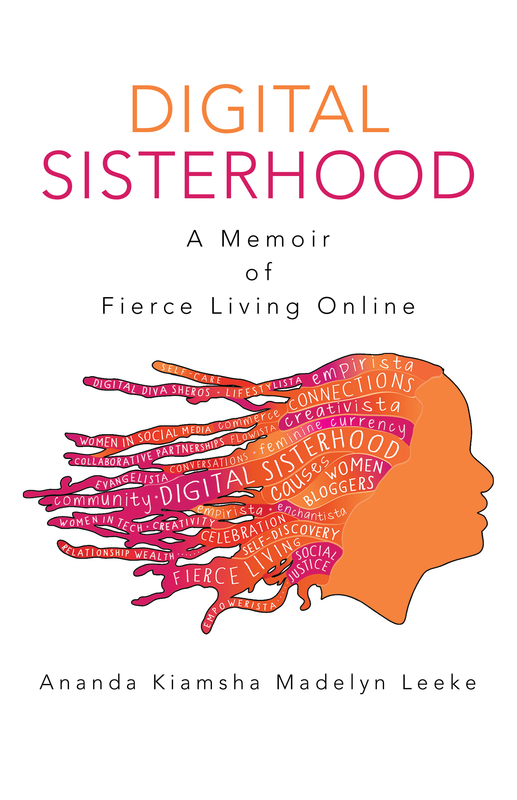 It was based on an excerpt from Ananda Leeke’s new book, Digital Sisterhood: A Memoir of Fierce Living Online. Click here to read the tips. Today’s blog invites you to explore the question: Are You A Flowista? 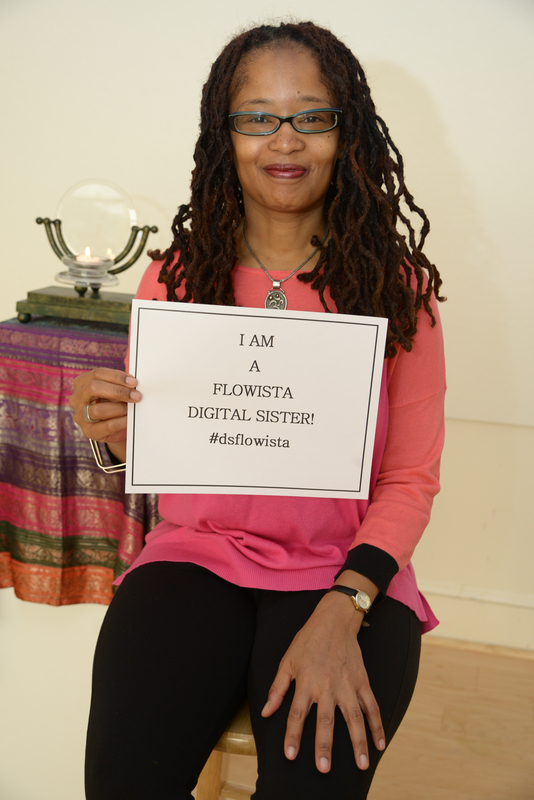 The Flowista Profile description is an excerpt from the Digital Sisterhood book. 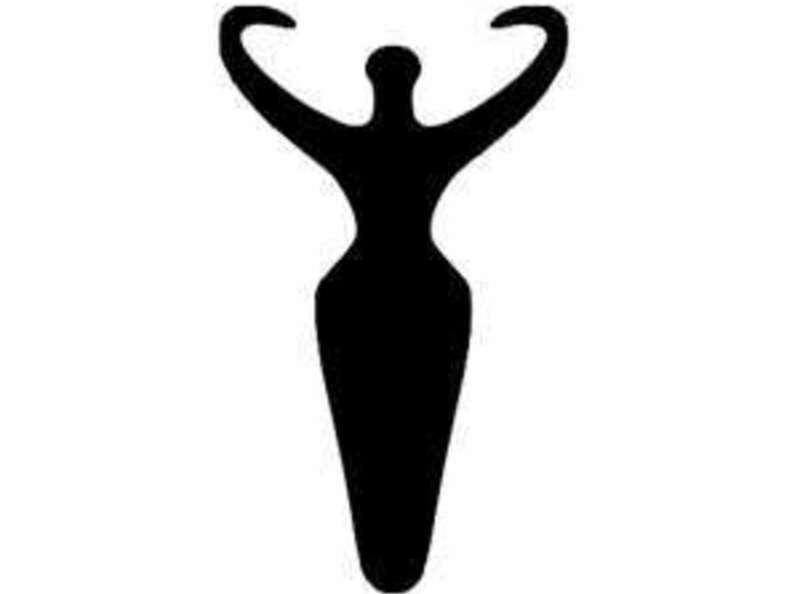 A Flowista is a woman who unplugs from her digital life and tech devices for periods of time so she can recharge and take care of her own needs; and encourages women to unplug from their digital lives by incorporating mindfulness and self-care practices. 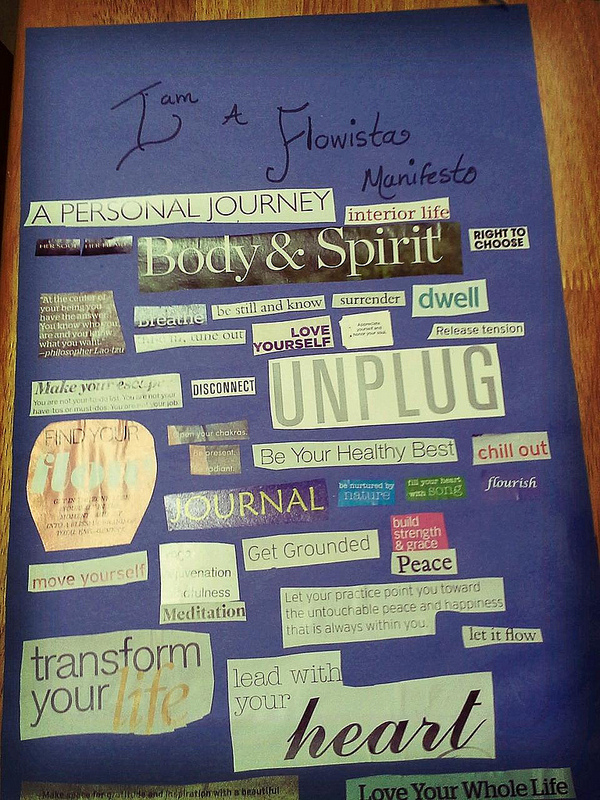 If you identify with one or more of the Flowista’s characteristics, please check out the Flowista Manifesto collage below. Consider making one to jumpstart your writing process. All you need are some of your favorite magazines, construction or poster board paper, scissors, and glue sticks.. Look for words, phrases, and images that represent your definition of a Flowista. Paste them on to your paper. If you need to write some of your words and phrases, use magic markers, crayons, or pens. After you finish the collage, give yourself a few days to look at it. Record any thoughts you have while looking at it. Use them as writing prompts for your Manifesto. Feel free to use the one contained below as a sample or adopt it as your own. I am a woman who disconnects from her digital life and to-do list in order to find my flow and be present to what matters most in my life. When I unplug, I am giving myself the gift of self care. I am nurturing my spirit, mind, heart, and body. I am releasing stress and tension from all parts of my spirit, mind, heart, body, and life. I am creating space to relax, rest, and enjoy life. The end result is a healthier me. 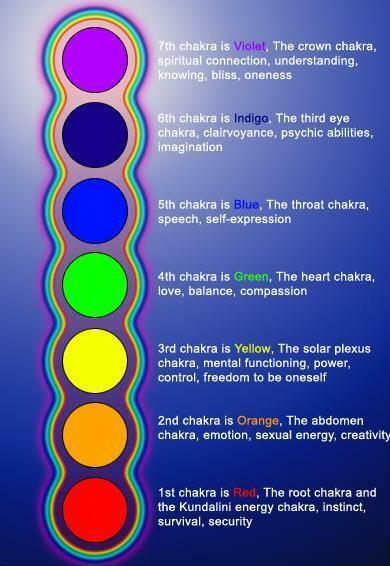 Throat, or fifth chakra, which corresponds to communication, expressions of feelings, or the truth. It governs the throat, ears, nose, teeth, mouth, and neck. Third-eye, or sixth chakra, which corresponds to intuition, imagination, wisdom, and the ability to think and make decisions. It governs the eyes and base of the skull. 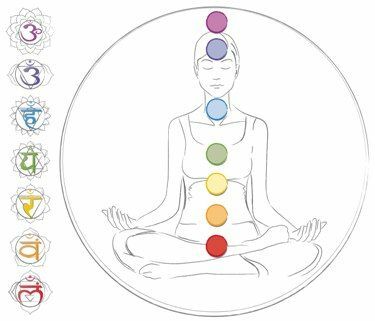 Crown, or seventh chakra, which corresponds to the crown of the head and pituitary gland. It governs the higher self or inner spirit. Wear or surround yourself with the colors light or sky blue (fifth chakra), indigo blue (sixth chakra), and purple (seventh chakra) to connect with Flowista’s energy. Wear or surround yourself with turquoise (fifth chakra), lapis lazuli (sixth chakra), and amethyst (seventh chakra) gemstones to connect with Flowista’s energy. 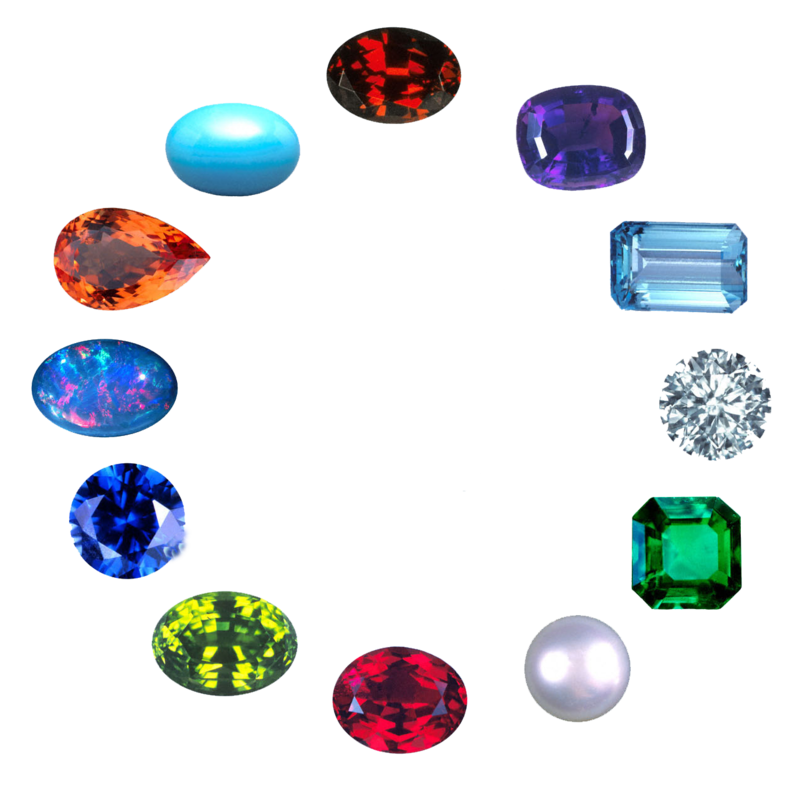 The Flowista is connected to the Goddesses mentioned below. There are certain yoga poses that can help you connect with your Flowista chakra energy. Practicing bridge, fish, lion, plow, and upward plank poses (fifth chakra); bridge, child’s, downward facing dog, shoulder stand, and standing half forward bend poses (sixth chakra); and corpse, headstand, lotus, and half lotus poses (seventh chakra) can help you connect with Flowista’s energy. You can purchase Digital Sisterhood on Amazon.com as a Kindle download and paperback book. 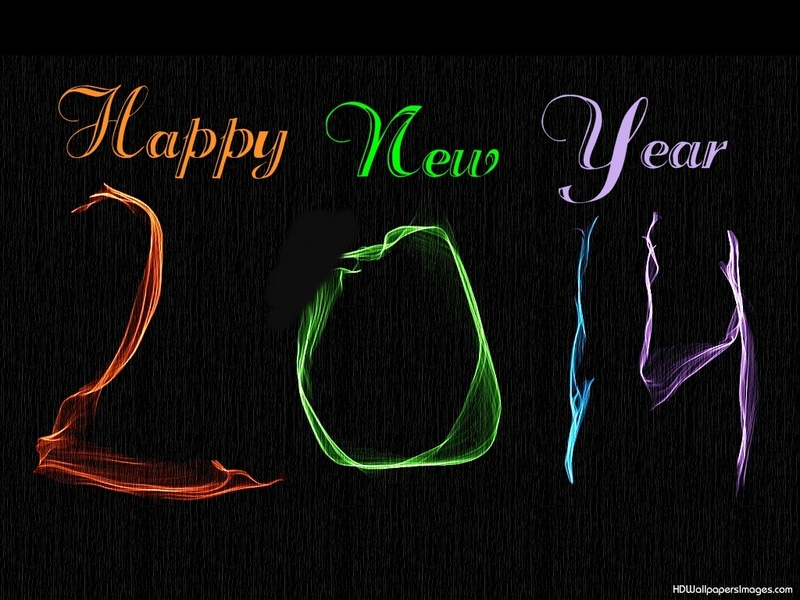 Happy New Year and Happy Digital Sisterhood Wednesday! This month, the Digital Sisterhood Network (DSN) is focused on the topic, “Creating Your Digital Wellness Plan.” In an effort to help you incorporate more digital wellness moments in your life, we have included an excerpt from Ananda Leeke’s new book, Digital Sisterhood: A Memoir of Fierce Living Online (available on Amazon as a Kindle download and a paperback book). 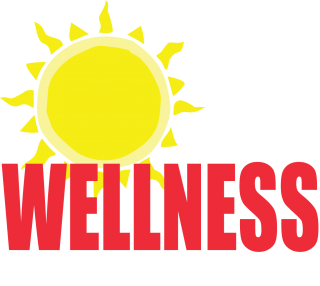 The excerpt provides tips on how to create your own digital wellness plan. We hope you find these resources helpful. Please be sure to visit the DSN web site tomorrow for a blog post about living as a Flowista, a woman who unplugs from her digital devices from time to time. Excerpt from Appendix C of Digital Sisterhood by Ananda Leeke – Copyright 2013 by Madelyn C. Leeke. A digital wellness plan is a gift you give yourself to help manage your time online with mindful self-care practices. Mindful self-care practices encourage you to slow down, become aware of how you spend your time online, and identify and take small steps towards having a healthier digital life. Examples include breathing exercises, journaling, massage, meditation, physical movement (walking, running, yoga, and aerobic classes), rest (naps and a good night’s sleep), setting time boundaries, and using time management tools (HootSuite, TweetDeck, and an editorial calendar) to schedule your blog and social media posts. Before you begin thinking about your digital wellness plan, find a comfortable seated position in your chair. Come to the edge of your chair and place your feet flat on the floor. If you are wearing glasses or shoes, take them off to relax. Create hip width distance in between your legs. Take a deep breath through your nose and exhale it through your mouth. Notice how you feel. Now do it SEVEN more times. When you breathe intentionally and deeply, you invite yourself into the present moment. The more you breathe intentionally and deeply, the more open you become to PEACE. When you have PEACE, you are free to IMAGINE. Your imagination helps you DREAM. Your dreams help you CREATE and INSPIRE others in your blog, business, career, and family. Four Takeaways from Breathing: Breathing creates Peace. Peace helps you Imagine. Your imaginations helps you Dream. Your dreams help you Create and Inspire. 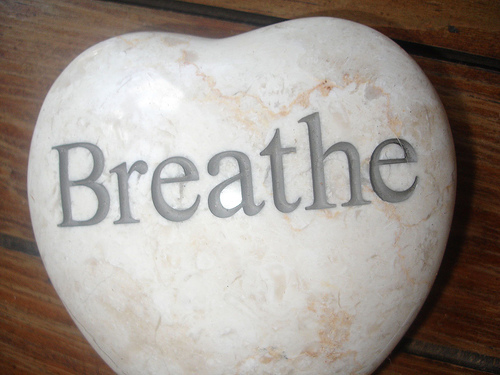 Breathing Exercise: Take SEVEN deep breaths. Inhale through your nose and exhale through your mouth to release any stress or pause any thoughts or to do lists you carried with you into this moment. TIP 2: BREATHE AND WRITE WHY YOU NEED TO PRACTICE SELF CARE IN YOUR DIGITAL LIFE. TIP 3: BREATHE AND WRITE WHAT YOU NEED TO PRACTICE SELF CARE IN YOUR DIGITAL LIFE. Feel free to include the amount of time you need on a daily, weekly, monthly, or yearly basis to unplug. Consider taking sabbaticals or vacations from your digital life, too! Share the types of activities you can do to rest, relax, and recharge. Identify one or two people in your life that you can ask to be your accountability partner. An accountability partner is someone who will gently remind you to practice self care in your digital life. If you can, give yourself a start date for launching your digital wellness plan. Before you get out of bed, incorporate breathing exercises into your morning routine by taking SEVEN deep breaths. Place your hand on your heart as you inhale and exhale through your nose. Establish FIVE minutes of “soothing your soul time” at the end of your day. UNPLUG from your electronic devices. Start with playing your favorite music. As you listen to the music, take SEVEN deep breaths. Inhale through your nose and exhale through your mouth. As you exhale, release any thoughts, stress, to do list items, or emotions that may prevent you from being in the present moment. While you’re working during the day, UNPLUG from your electronic devices and take a THREE minute break by inhaling and exhaling through your nose three times. During your morning and evening commutes, UNPLUG from your digital devices and take FIVE deep breaths (inhale and exhale through your nose) before you turn your car or motorcycle/scooter, start to bike, or when you sit down on public transportation. Before answering your phone, take a deep breath (inhale and exhale through your nose). Remember to be patient with yourself as you make changes in your digital life. Take baby steps. Celebrate your victories, no matter how small or big they are. Enjoy your digital wellness journey!